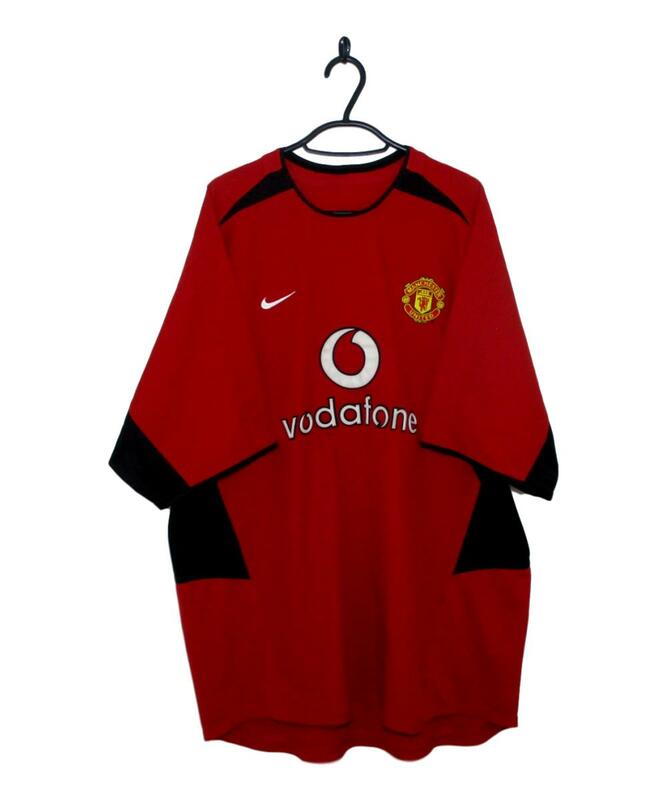 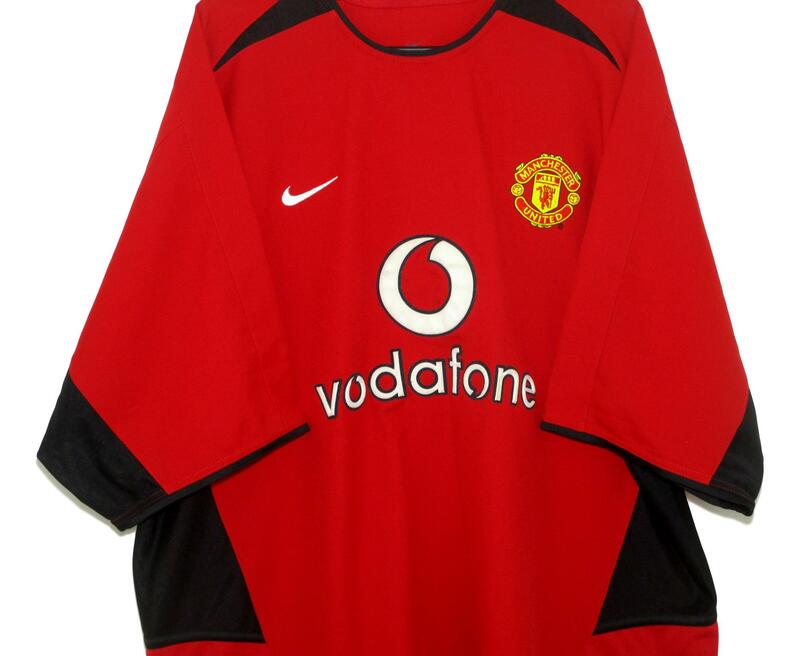 The 2002-04 Manchester United Home Shirt made by Nike is red with black under arms. 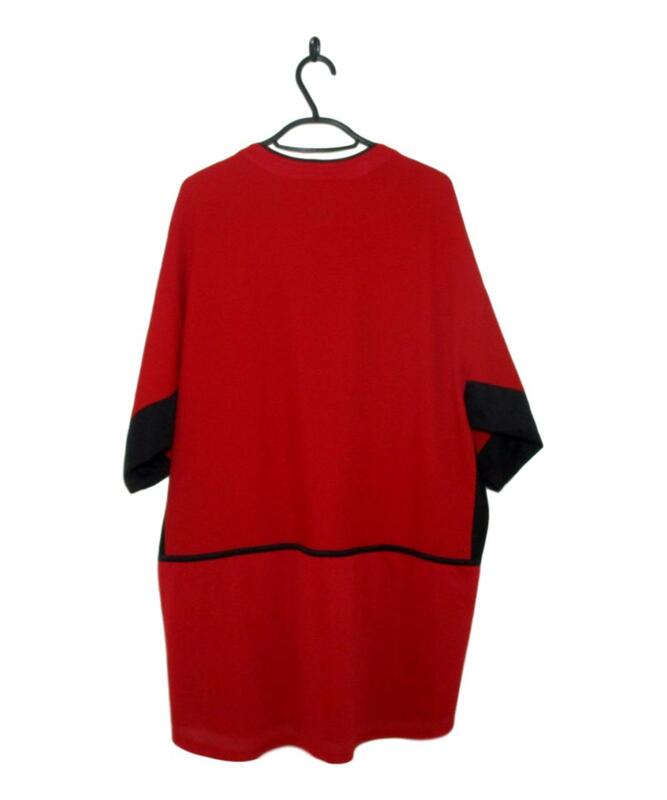 Thin black trim appears on the collar and cuffs. Both the Nike Swoosh on the right breast and the Vodafone shirt sponsor are coloured white.